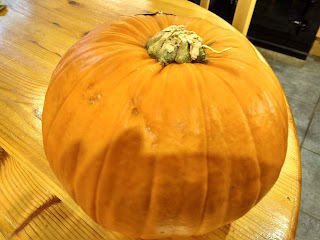 As it is almost Halloween the shops are full of pumpkins. 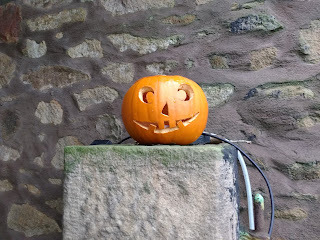 Mark and Luke carved some at Scouts this week and William has been busy making pumpkin pie. 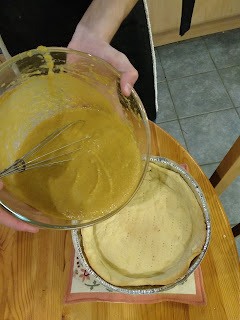 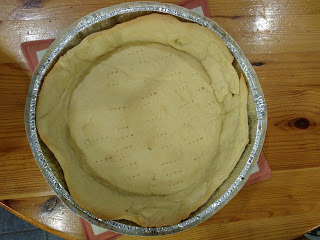 He made the pastry, baked it blind for 10 minutes and then added the pumpkin mixture. 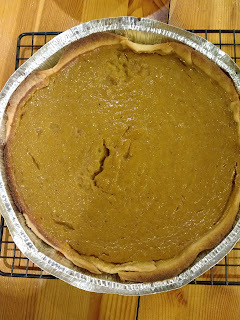 The pie was delicious and didn't last long!